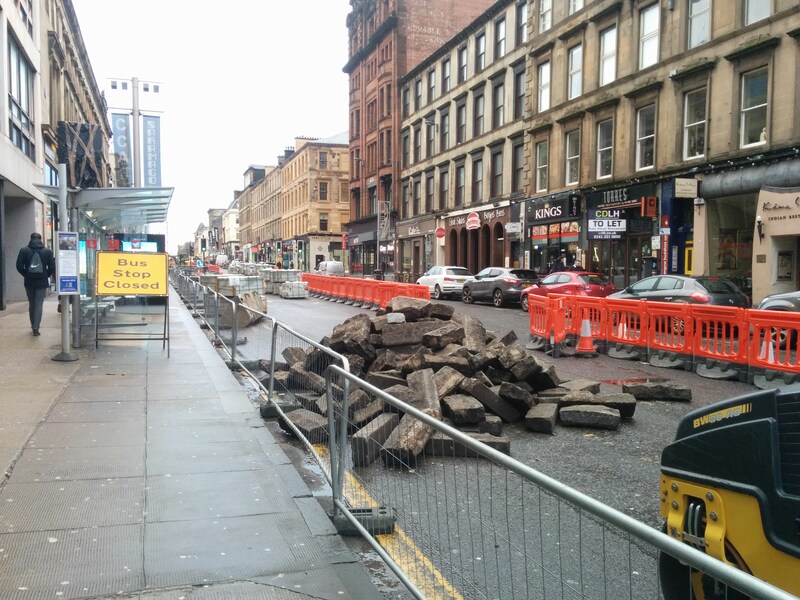 I thought I'd make a place to discuss the latest with Sauchiehall St development. Here's a couple of blogs about it. That's the first time I've seen a visualisation in the rain! Quite a statement. Of course when it is raining, the protected infrastructure becomes even more important in low visibility conditions. It's got the official go ahead from Development and Regeneration Services! 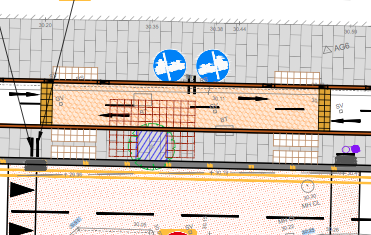 "We want the council to either move the cycleway to the south-side of the street, so that pedestrians aren't forced to cross it to get to a bus, or ensure there is a more distinct separation between the cycleway and the footpath. We'd also like audio-crossing signals positioned along the street.."
Interesting to see "Continuous pavements" being described. That's not quite what they're planning. More like Quasi-continuous. 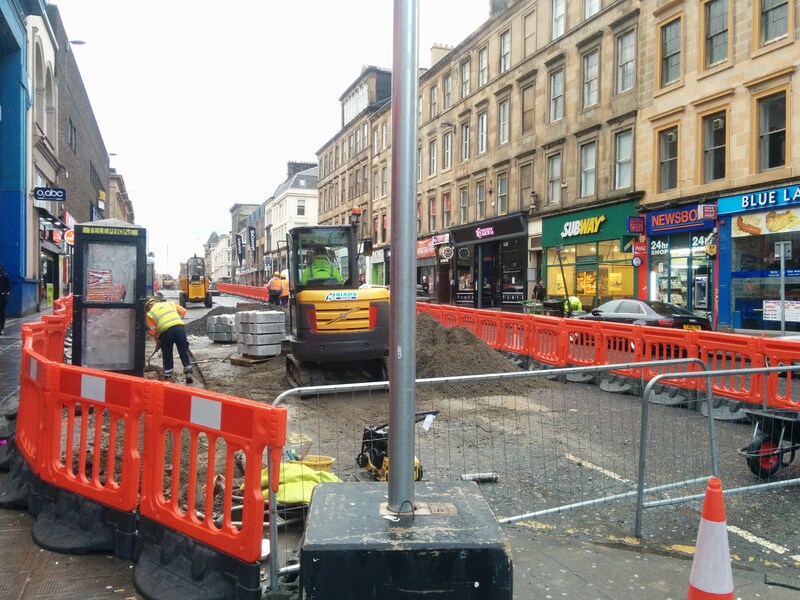 A second phase of upgrading works for Sauchiehall Street is planned and these works are located within the pedestrian precinct ie to the east of Rose Street. Extension of the cycle route is planned as part of these works and will be linked to the first phase of the project. With regards to the proposals for the west end of the contract I confirm that other projects are being considered which will link to St Georges Road, Woodside Terrace and other areas to the west. It's nice to see the space reallocation! It would be interesting to observe differences in driver behavior from the reduced number of lanes constraining the carriageway. Although, this may make it worse for cycling in the short term. Exciting! Is there an estimated time of completion? A get together of people to show support for Sauchiehall Avenue currently under construction. No contraflow cycling. 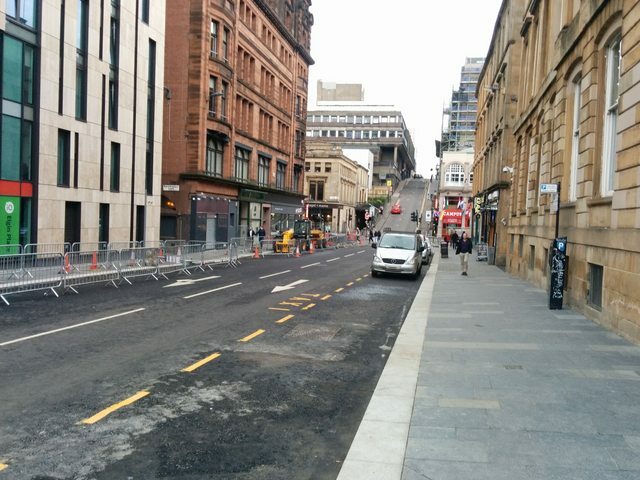 Given Sauchiehall St will be 2 lanes only, it's odd seeing 3 lanes on one of its side streets. @un yeah, there's not enough space for a contraflow cycling lane. That on street private car storage is far more important. @jchivall Actually that's a taxi rank isn't it. Better there than on Sauchiehall St itself. Still no reason to have 2 travel lanes. The Art School fire has closed Sauchiehall St entirely and I suspect will cause the Avenue works to be delayed for at a few weeks while the affected buildings on the street frontage are made safe. @jchivall apparently the reason that parking could be removed on Sauchiehall St itself was on the condition that it would be displaced to the side-streets.